In he heart of the bustling town of Carrigaline in County Cork, this 4-star hotel offers free parking, luxurious accommodation and superb leisure facilities, including a 20-metre indoor pool. 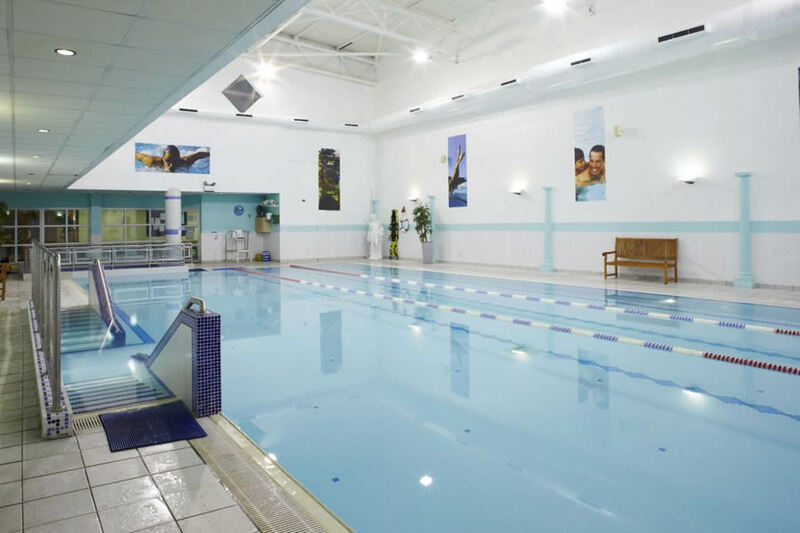 As well as the pool, the hotel also has a superb jacuzzi, a steam room, a sauna and a well-equipped gym. A range of relaxing and therapeutic spa treatments are also available. The hotel is just over a 5 minute drive from Ringaskiddy Ferryport. 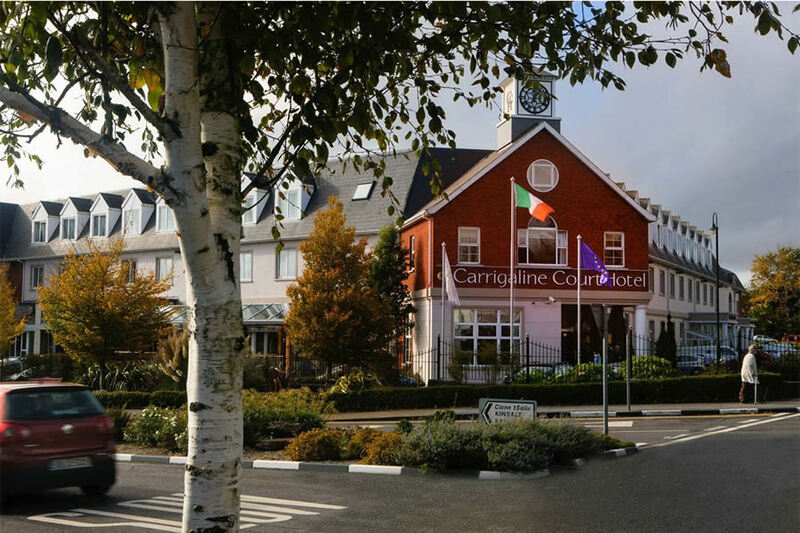 The Hotel is on top of the main street in Carrigaline as you come from Cork City. The Carrigaline Court Hotel & Leisure Centre is just 15 minutes' drive south of the city of Cork and 15 minutes' drive from Cork Airport. Warm welcome at reception and very pleasant restaurant staff. Nice accommodation and nice food in restaurant. Breakfast very good with large choice of hot and cold foods and dedicated Coeliac section. Very friendly checkout Would recommend. Went as a group with my ladies for a midweek break 16 of us. Love the hotel, spacious room, kind staff, beautiful environment and food was superb. Thoroughly enjoyed our stay at the Carrigaline Court Hotel. The Hotel was immaculate and the food was great. Reasonably priced and service was excellent. All in all a great break and wouldnt hesitate to recommend Carigaline Court and will certainly be back at some stage in the future. We stayed on the hotel at the beginning of September 2016 and we found the hotel staff on arrival to be very helpful and courteous. The room was bright and airy and not too warm which is what we find with most hotels. The leisure centre facility was great. The hotel was ideally located for visiting Cork city for shopping and sightseeing in Kinsale among other places of note. I would definitely book into the Carrigaline Court Hotel again. Enjoyable break. Nice room . Nice food. Will return. I recently enjoyed a weekend break in The Carrigaline Court Hotel . It is an ideal location for both shopping and sightseeing. The staff were extremely friendly and helpful, the food was lovely. The rooms were spacious, the decor in the rooms a bit dated but spotlessly clean. I would have no hesitation in recommending this hotel to my friends and I hope to stay there again in the future. My wife and I stayed here for 2 nights and were very satisfied with the whole experience. The receptionist was friendly and helpful on our arrival and later on whenever we had questions or requests. The same was true of restaurant and bar staff. The bedroom was comfortable. The food in the restaurant was good. We made good use of the swimming pool, sauna and jacuzzi. Overall great value for money. I stayed for 3 nights, the room was excellent, bed extremely comfortable and clean. The hotel was quiet and comfortable. 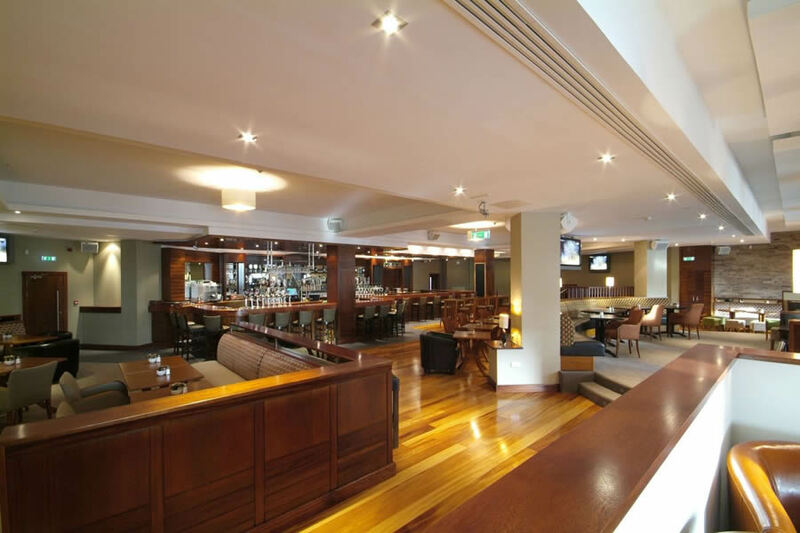 I ate in the hotel bar one night, food was excellent and staff couldn't have been more friendly and helpful. We really enjoyed our stay at this hotel. Very friendly efficient staff. Good food. Good value. To be recommended for further visits. We enjoyed our stay. The staff were really friendly and helpful. The lack of WiFi was a bit of a hassle but as we had data on our phones we got by. The breakfast could do with a little pep - the toast was not toasted just hard and the cooked breakfast was fairly tasteless. Having said all of that I had a really good nights sleep as there was no late night noise. Would definitely recommend this hotel. Would highly recommend as all aspects of our stay were worth 4 stars. Special mention to get staff. This hotel is in a fantastic location for people wanting to travel around Cork. It is a lovely hotel and the staff are very professional, helpful and friendly. Would recommend this hotel to my friends. Thoroughly enjoy our stay in the Carrig Court Hotel, hotel spotless and staff could not have been nicer, would definitely stay here again. Loved Cork city and loved Kinsale. Staff friendly and very helpful. Also very informative about the surrounding areas - places to see and visit etc. Little disappointing that guests were expected to have their drinks out in the foyer when the bar closed - expected that residents would be re-admitted as standard. Also no musical entertainment on either Friday or Saturday - perhaps this was due to the world cup football matches however these were over early enough to facilitate some form of live entertainment. very friendly place. All the members of staff we met were very nice and friendly. The evening dinner was nice and restaurant pleasant. We didn't eat there the 2nd night as we thought the menu was a bit expensive. Taxis from hotel into Cork are 20 euro. It cost us 25.70 from the train station to the hotel. The swimming pool and other amenities were clean and well maintained.Staffed by friendly young men. There didn't seem to be a lot to do in the locality from what we saw. The alarm went off in the room twice, quite early in the morning. It was really loud and gave us a terrible fright. The room was stuffy and our view from the window was a concrete wall. But all in all, it was a pleasant place. Lovely hotel. Very friendly, helpful staff. Food excellent. Will stay again. very nice hotel, stayed for 2BB+EM, staff in every area were very nice and helpful, room was very clean, as was the entire hotel, one thing I really liked was the private changing rooms in the leisure centre, great idea if you have little boys with mammy in the changing rooms and if your weight conscious like me, Lidel Meal menu was limited BUT all the choices we made were tasty dishes-would go again and would recommend this hotel, only grip would be the town of Carrigaline-its dirty and depressing-seems like the heart has been ripped out of it,but this hotel is a great base point to tour area. great location, perfect for touring the area and very short walk into the town, the live entertainment was spot on, the food in the bistro was excellent, along with the very helpful staff, we could not fault their professional and friendly attitude, the room was very well laid out and comfortable, the only minor issue was the shower curtain, much prefer an enclosed shower, but that is my personal taste. highly recommended, we will be back! Really enjoyed our stay here - the staff were very friendly and accommodating. We went for the dinner and breakfast option and it was amazing. The food at dinner was top class and the atmosphere in the restaurant was very good. I would highly recommend this hotel and this deal. I intend to use this again. Lovely hotel, very helpful and friendly staff. Food very good. Will defenitly return to this hotel. My husband and I stayed in Carrig Court Hotel Carrigaline, for one night, We were very disapointed as the minute we entered to check-in we were eartaged as the guests on a special package, (which we didn't really appreciate) We were encouraged strongly to eat in the bar in preference to eating in the Dining Room as we had a 2 course meal included in our special package, when we insisted dining in the dining room, we were handed a different menu to the other guests who weren't on a package, and if we attempted to order from Ala Carte menu, it was a 10 euro charge. Room very basic ( Would not stay here again). Staff were very friendly and most helpful. Great atmosphere in the bar. Food in the restaurant was excellent. Will be returning to the Carrig Court. Nice Hotel lovely bright rooms and a lovely leisure centre with a friendly staff. The evening meal could have been better.